Not a handsome man... Anyways lets get to the game... WAIT!! 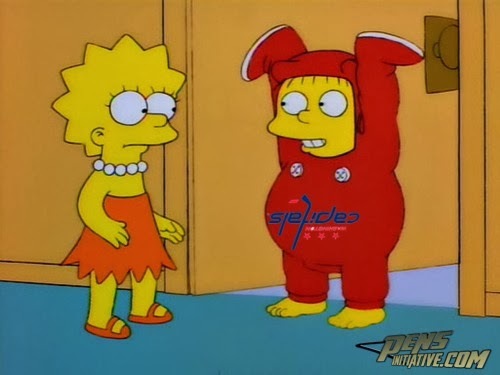 Caps fans get dressed for the game. Okay, NOW lets get to the game! Pittsburgh almost matched Washington's shot total of 18 in the first period with 17. They really came out hard in this one. They seemed to be getting the majority of the chances and were really solid in their end. Almost 6 minutes later the Penguins would increase their lead 2-0 after Beau Bennett scored his first goal of the season with a beautiful shot. 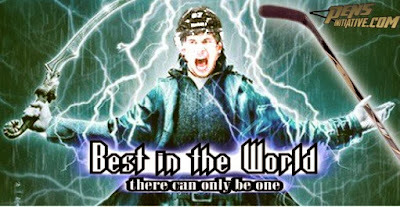 Malkin (18th of the season) and Niskanen (9th of the season) both got assists on the play. Minus some penalties, that was pretty much it for the first period. Penguins go into the first intermission with a 2-0 lead. Minus being more disciplined in the second (The Penguins took 0 penalties compared to the 3 minors in the first) the second resembled the first. 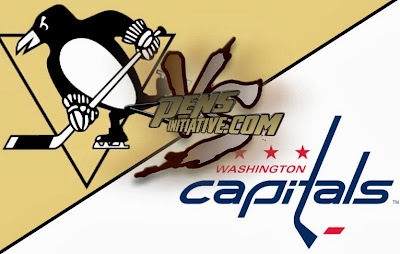 Again the Pens had the upper hand in the shot department with a 15-8 advantage. The Penguins got a power play a little over 5 minutes into the second period. They were unable to do much on it. Actually this might have been the most stressful part of the game to watch. I was watching the clock really hoping it was going to end because we appeared to be better at 5 on 5 play. Crosby's power play goal put the Penguins up 3-0 with 29 seconds remaining in the period. The Penguins slowed down in the shot department but still managed to double the Caps production by 8 to 4. That seemed to be an ongoing theme throughout the game. There were no penalties or really much of anything in this period. Until just past the 7 minute mark when James Neal scored a nice goal to put the Pens up 4-0. Both Martin and Malkin would get assists on the goal. And that would be it. Pens win 4-0. 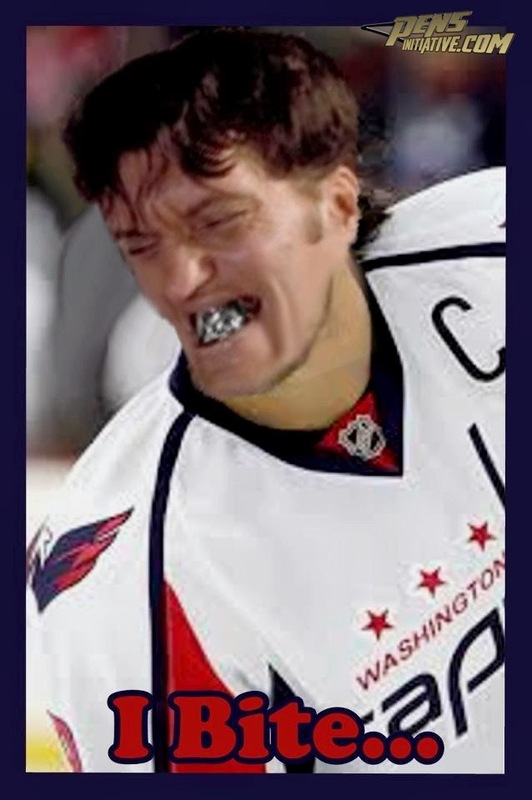 Brooks Orpik had a monster of a game. Solid in his end and had 7 hits. Letang played under 25 minutes again and looked good. He had 6 shots and only one give away which is huge. Keeping him under 25 minutes is obviously best for everyone. Penguins didn't have the edge in faceoffs. Crosby was held to %43 in the faceoff circle. The Pens turned the puck over 8 times. 3 were by Kunitz. The Pens blocked 18 shots. 6 were blocked by Martin. The Penguins next game is @ home this Friday against the Islanders. The game is scheduled for 7 pm.